Running a multi-cloud environment can seem daunting, but it is achievable. With the right strategies and automation tools, an IT team can confidently move workloads across clouds, taking advantage of the resiliency and flexibility the multi-cloud model affords. Cloud orchestration and automation makes it possible to move workloads from cloud to cloud. This guide looks at the advantages as well as the challenges of using and managing multiple clouds. Keys to multi-cloud success include cost analysis, application deployment and performance monitoring, cloud expert Tom Nolle writes in this handbook's lead article. The monitoring capability, he argues, is essential. With apps deployed -- and bursting -- across clouds, you'll need a sophisticated tool in place. Otherwise, it'll be nearly impossible to make the multi-cloud strategy work. Also in this guide is an article about the challenges involved with using multiple clouds. While feasible, moving workloads across clouds is difficult, writes Alan Earls. He questions experts on the practicality of using multiple clouds to match particular workloads to particular providers. Cloud providers aren't all alike; they have distinct features and APIs. These and other factors make interoperability a notable challenge to multi-cloud success. This handbook also includes guidance from TechTarget's Stephen Bigelow about using cloud automation tools. You'll want to be careful with how you handle upgrades in the data center, he explains, because products used for cloud automation, such as Puppet Enterprise, are especially sensitive to changes. If not handled with caution, a server OS upgrade can disrupt your carefully organized system for cloud orchestration and automation. To effectively manage a multi-cloud environment, consider both the application structures and your deployment choices. Automation helps, but be strategic about workload decisions. Initially, organizations adopted multi-cloud as part of their risk mitigation strategy. But today, it's about portability, flexibility and so much more. Hardware and software upgrades in a data center can cause big disruption to cloud automation tools. How can my organization prepare? 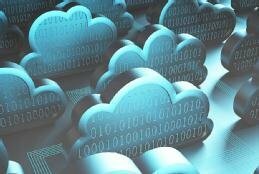 Using multiple clouds can help an organization achieve added resiliency and flexibility. The strategy might even save on costs. Still, the multi-cloud approach is complicated.